June was an exciting case study of policy affecting real estate. Currently, plans at all three levels of government could cause ripples in our rental data. Federally, recent statements from the Bank of Canada signal their intention to slowly back away from emergency interest rates. At Trois-Rivières, senior deputy governor Wilkins said oil revenue isn't doing so hot, but the non-resource economy has been growing steadily. This was supported by a surprisingly large increase in full time employment (+77,000) and increasingly positive business outlook. In Portugal, BoC governer Poloz said that low rates have "done their job". A rate hike means higher mortgage costs which usually means lower housing prices. Here in BC, Christie Clark is still putting up a fight. The latest proposed house-price-inflating measure is a rent-to-own system released with the throne speeech on June 22nd. The idea is to create 50,000 units in partnership with the private sector. We don't know any particulars but the idea exists elsewhere. Generally, a renter, after a fixed lease, has the option to purchase the home. Once again, the Liberals are covertly pushing the idea that renting is "flushing your money down the toilet". You don't need to pay attention though because NDP/Greens have given Christie the boot and taking a shot at governing. Finally, Gil Kelly our new planner from down south, delivered a report to the City about our empty homes problem. Apparently the census last year found approximately 25,000 dwellings (8.2% of our stock) that were unoccupied or occupied by temporary residents. Similar census counts from 2001 shows that this has grown from ~13,000 (+5.2%). The report explicitly recommends against any exceptions for second homes, or houses on the market. If deemed empty, the owner forks up a hefty 1% of the assessed value per year. The deadline to rent out a dwelling and avoid the tax is July 1st. Surprisingly, the new tax did not result in an uptick in rental inventory across the city. I guess some owners will just cough up the empty homes tax. The rest have probably listed earlier in the year, explaining the huge spike in volume we saw in January. In June, listing volume across the city dropped 2%. 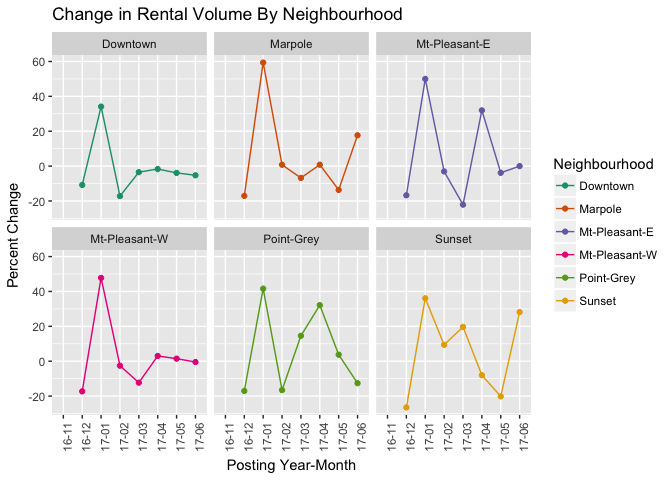 Sunset (+28%) and Marpole (+17%) saw large increases, but this was offset by fewer listings in Downtown (-5%). On the price side, the market seems to be split in two. Family units (2+ bedrooms) are seeing price appreciation while the one bedrooms and studios have not. 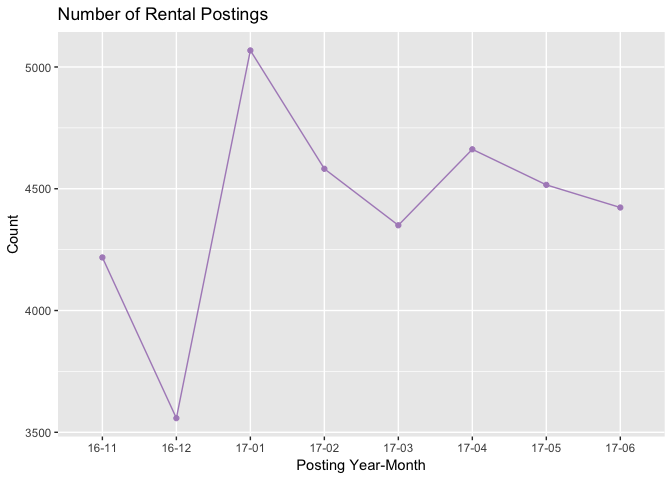 In fact, studios (-2.5%) saw a dip in median rent for the month of June and go for $1560. 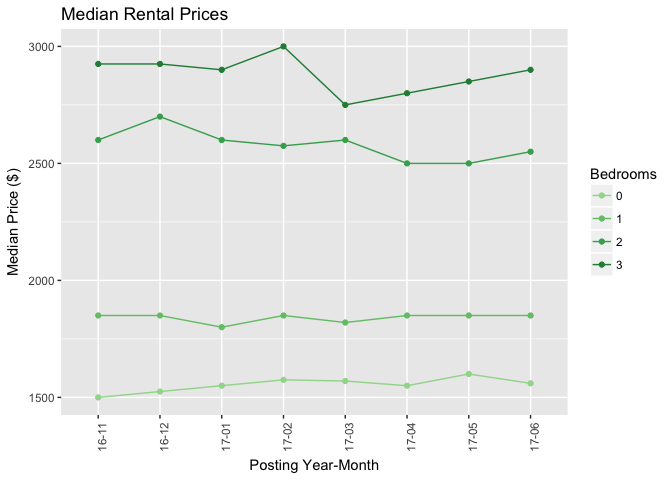 Median rent for 2 bedrooms is now at $2550 (+2%) and 3 bedrooms goes for $2900 (+1.75%). 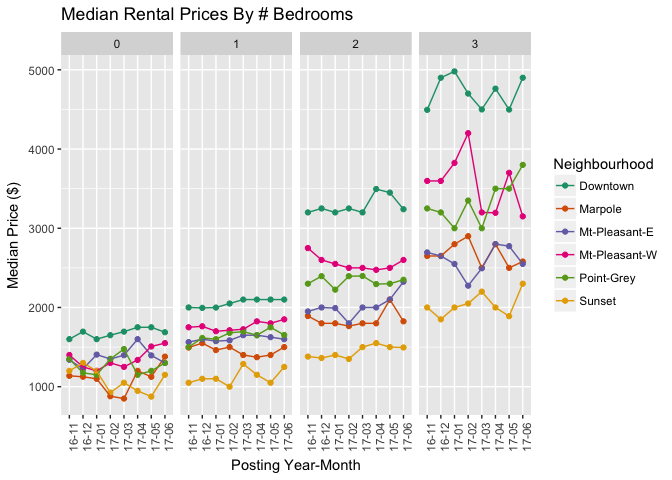 One bedrooms had no change in price, with median rents still at $1850.